The villas with infinity pool are cleverly designed and well decorated. The service was great, fast and discreet. We had a wonderful time despite a rainy day! However there were some disappointing issues: including the restaurant, which was not at the height of a hotel of this standing. The distance to the city is not very convenient if you do not have a car or scooter. 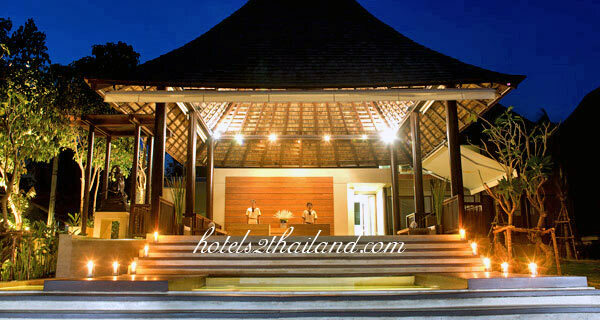 As part of this hotel is a true paradise, beautiful views, sea view villas are beautiful. Our private pool has remained very clean during our week on the beach totally private (this is not the case at chaweng), we swam smoothly, and the bay is very nice. Breakfast is the perfect dinner on the beach was a great experience. But beware, the villas are aging a bit and would need a little help clean. No problem to get to chaweng: from shuttle and taxi back. My boyfriend and I stayed at this resort in April. 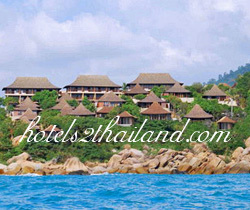 The hotel itself has the main building and the villas in the Thai style. We stayed in the standard room. It is quite roomy, has all the necessary amenities and the jacuzzi. The breakfast was fairly good and was served at the restaurant overlooking the sea from the cliff. 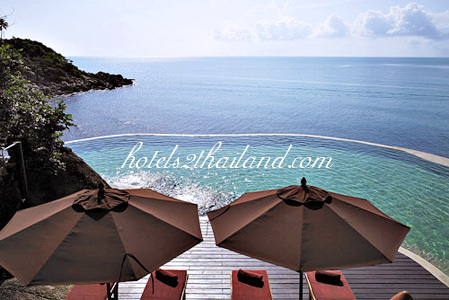 The hotel has the very picturesque location: on the rock overlooking the bay. However the location has the drawback - the entrance to the sea is full of stones. Although the hotel gives the free underwater shoes, it's difficult to go into the water, especially in the morning when the sea is quite shallow. The beach though is clean and not overcrowded.